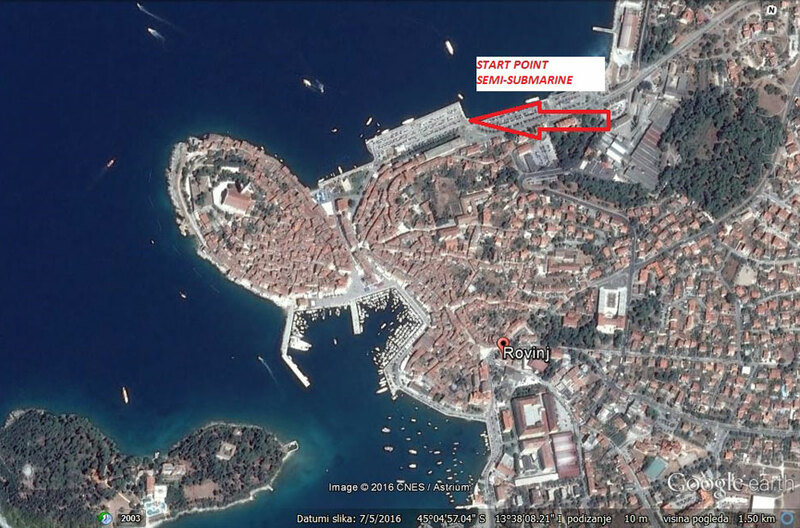 Come with us and experience Rovinj below the surface! 70 kn children untill 7 years. Departure: every day 09:00 h - 23:00 h.
Since the begining of time the underwater world and the depth of the ocean has fascinated mankind. 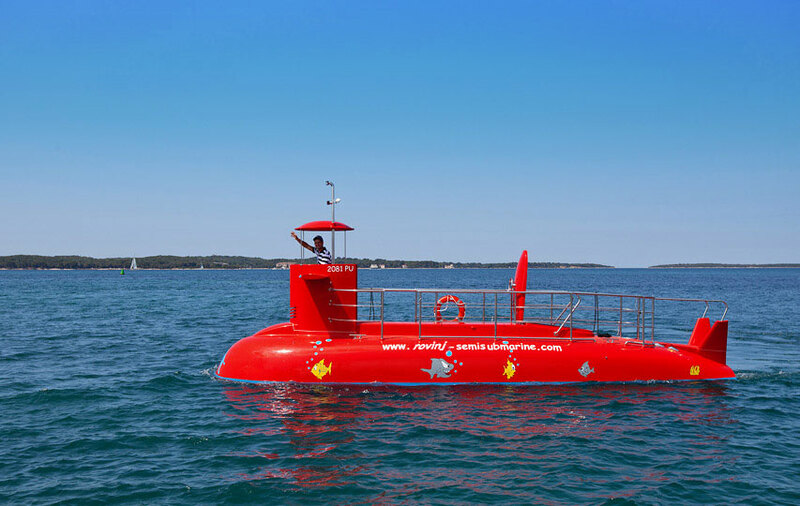 With the semi submarine Rovinj we have made imagination closer to reality. 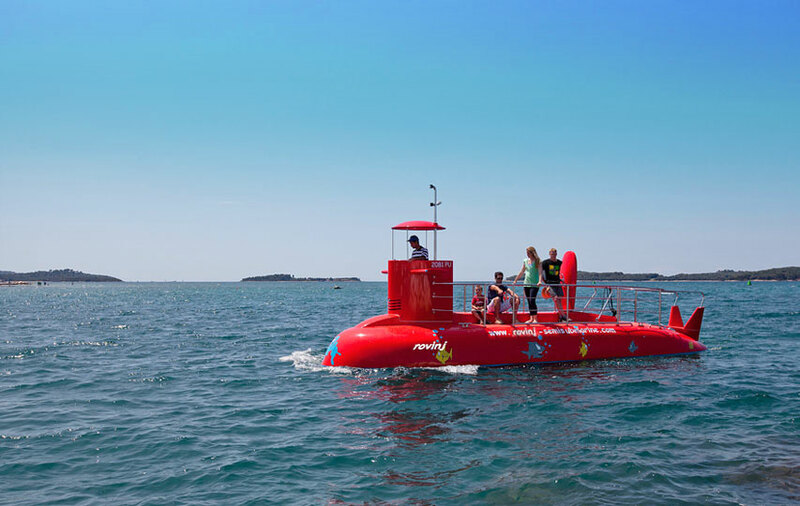 The semi submarine is a new attraction which is prominent in the blueness of the Rovinj sea. 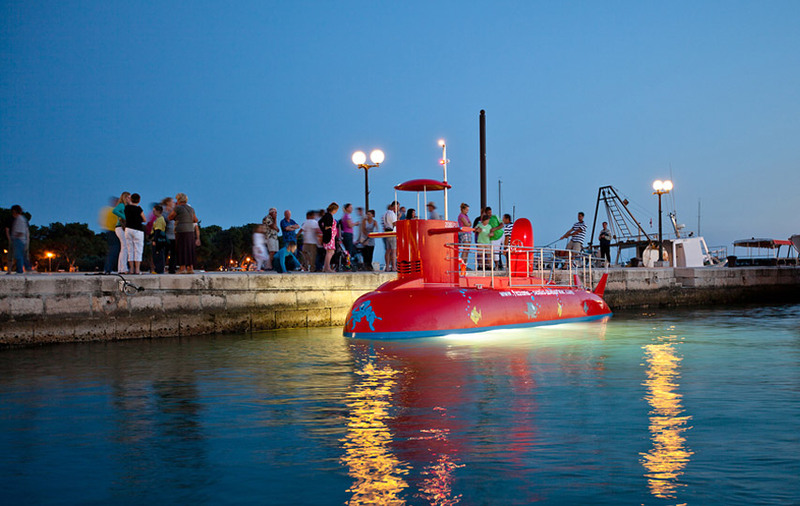 It looks like a real submarine and with its red colour it attracts many curious onlookers. We call it a semi submarine because its upper part is always above the surface of the sea and one and a half metres are submerged. 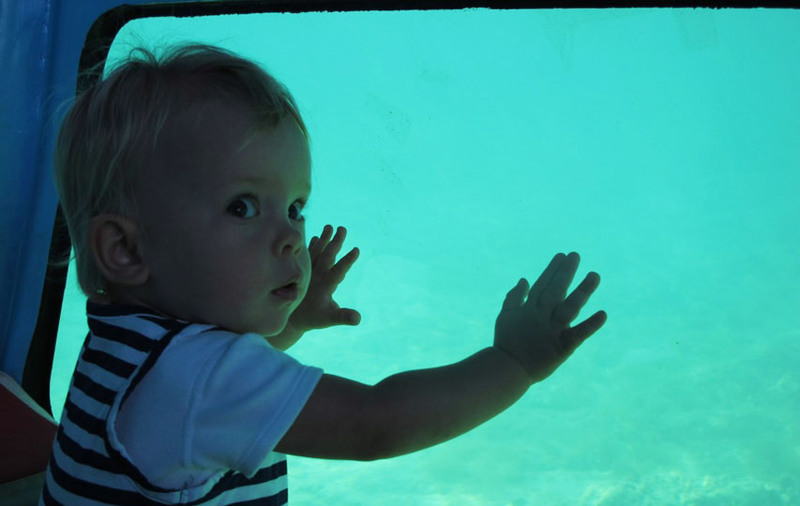 The interior is cosy as near every seat there is a wide window which gives an extraordinary view into the underwater world. Visually everything appears closer than it is due to the special optics of the glass. 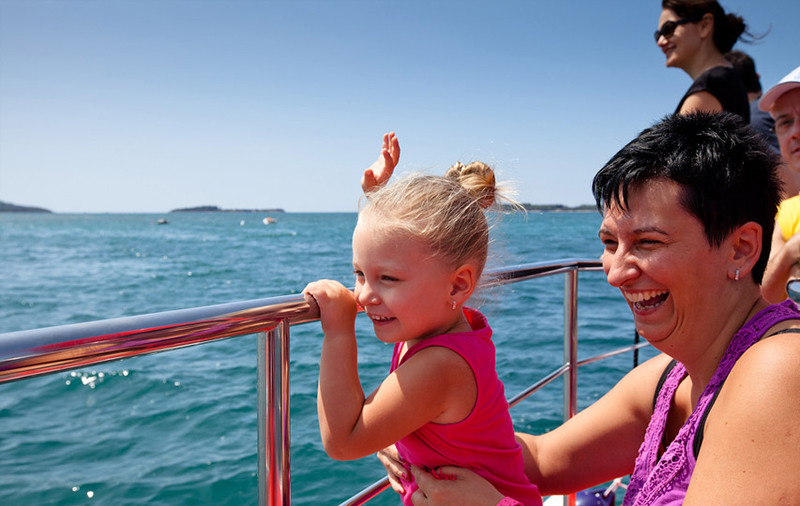 We are cruising near the city of Rovinj and around the nearby islands. 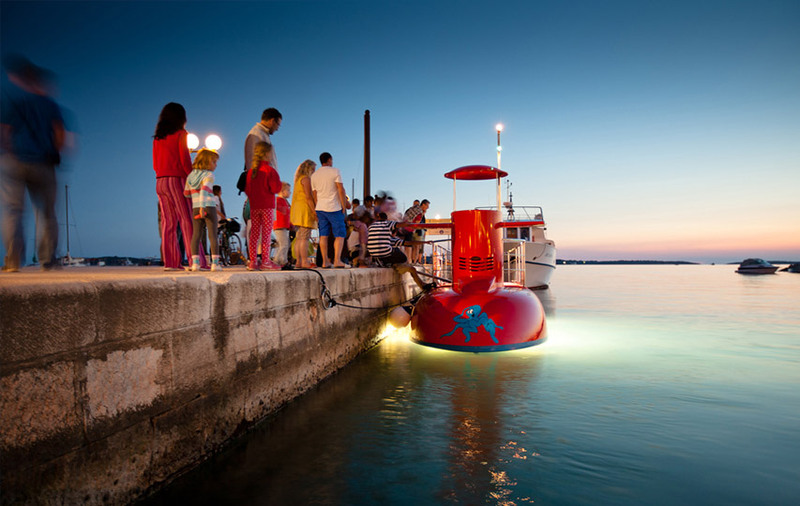 Enjoy with us, whether day or night, the slow passage of the flora and fauna of the Adriatic. 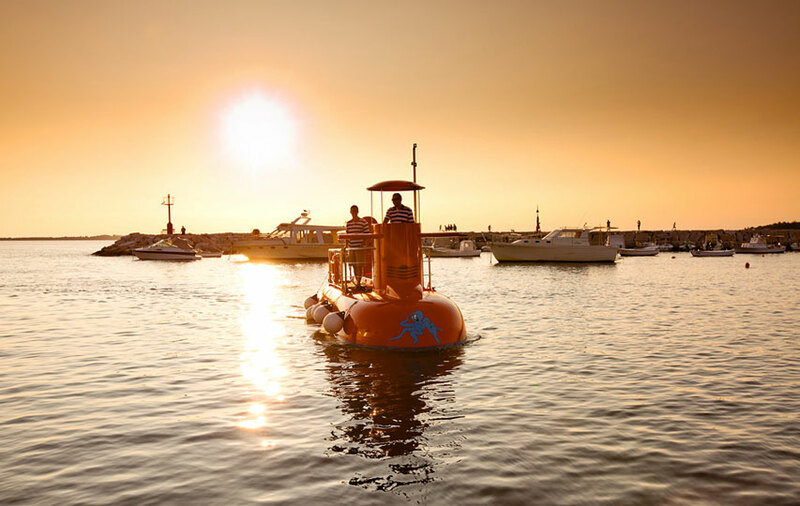 Our semi submarine is suitable for all age groups, from families with children, to couples, or individuals looking for a romantic and magical view into the depths of the sea. Do not forget your camera so you can capture the images of fish, protected shellfish, sponges, jellyfish, crabs and other flora and fauna of the Rovinj sea. The hatch to the deck is always open so you are free at any time to go above and take panoramic pictures of the coast and the romantic oldtown.